People are often confused by the multiple definitions of refrigeration, published in different sources, which are mutually overlapping but never identical. Some order was recently achieved and it is also needed at EU level, writes Kostadin Fikiin. How many ordinary people know what the term “refrigeration” really means? Certainly, the number is not very impressive! The matter is often a “terra incognita” even for those who are expected to shape the industrial, agri(aqua)cultural, food and energy policy of the future. There are numerous subjective perceptions and claims, such as “Refrigeration is about food, while cooling is about building or car air conditioning”. However, this is absolutely wrong! The term has nothing to do with the application field of refrigeration. Another widespread understanding is that “refrigeration” and “cooling” mean one and the same. But, is it really the same? No, in fact! Whereas “cooling” is the generic notion, “refrigeration” is much more specific and means artificial (human-made) cooling. Artificial cooling (also known as refrigeration) is a mostly invisible industry which removes heat from homes, offices, warehouses and trucks. It is largely taken for granted by contemporary society – from the cold chains that, behind the scenes, safely deliver our food and vaccines, to the air conditioners which make our workplaces and homes comfortable, and to the many industrial processes, which for instance, keep our data centres operating. Several years ago, the UK’s Royal Society named refrigeration most significant invention in the history of food and drink. 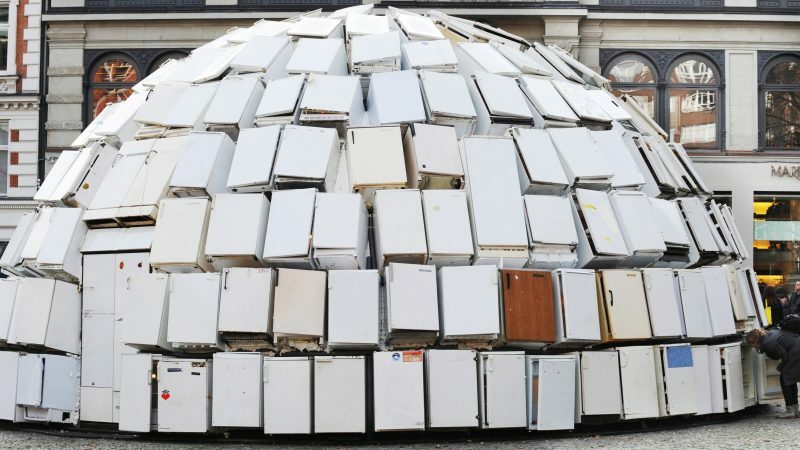 Sociological polls regularly place the household fridge on the very top of the rankings for domestic appliances the contemporary consumers could not live without. People are often confused by the multiple definitions of refrigeration, published in different sources, which are mutually overlapping but never identical. Such a terminological mess would not be so dramatic, if it does not lead to some adverse consequences. For example, in some cases, it’s not exactly the competent refrigeration professionals and stakeholders that are approached to do a specialised work or to perform a relevant programme. Moreover, it is difficult to explain refrigeration to the today’s society and the young generations as a wonderful metier of the past, present and future. (1) Removal of heat, usually resulting in a lower temperature and/or phase change. (1) Cooling of a space, substance or system to lower and/or maintain its temperature below the ambient one (removed heat is rejected at a higher temperature). Cooling of a substance without freezing it. Solidification phase change of a liquid or the liquid content of a substance, usually due to cooling. Series of actions and equipment applied to maintain a product within a specified low-temperature range from harvest/production to consumption. The IIR’s Science and Technology Council has endorsed these new definitions, which entered into force since 8 February 2019. Furthermore, the IIR strongly recommends the newly defined terms to all its member and non-member countries for global use. All refrigeration-related national and regional organisations and professional associations are called by the IIR to adopt and disseminate these definitions, thereby ensuring their universal application and worldwide harmonisation. Being part of the definition-creating exercise, the author is proud of this accomplishment in the eve of the forthcoming 25th IIR International Congress of Refrigeration to be held this summer in Montreal, bringing together over 1000 refrigeration scientists, engineers and entrepreneurs (111 years after the first event of this kind took place in Paris in the beginning of the past Century). The new, hopefully universal, definitions are coming just in time, as a modest present to the refrigeration community, before the first celebration of the World Refrigeration Day on 26 June 2019. On an EU level, the new definitions should affect policy documents associated with the refrigeration sector (deemed to be responsible for 17% of the worldwide electricity consumption and 7.8% of the global greenhouse gas emissions), such as the EU heating and cooling strategy, F-gas regulations, eco-design, energy efficiency and energy labelling directives, etc. The importance of the sector in Europe is not always adequately appreciated, often remaining in the shadow of its heating counterpart. The five, seemingly simple, definitions are expected to put in order the puzzle of terminology, technologies and industrial policies by making research players, entrepreneurs, project managers, investors, governmental representatives and international policy makers much more aware of the sector’s nature, scope, development and needs. Refrigeration should meet stringent requirements in the context of the Paris Climate Agreement, the Katowice conference, the Kigali amendment to the Montreal Protocol, and the UN’s Sustainable Development Goals. Both radical and incremental technology innovations are actively sought to ensure a carbon-free cold economy by 2050.